HARWICH PORT, MA Issued January 7, 2019… Cape Cod Chamber Orchestra (CCCO), the region’s newest professional orchestra, presents a winter concert An Afternoon of Chamber Music, on Sunday, February 17, 3 pm, at Pilgrim Congregational Church, 533 Main Street, Rt. 28, Harwich Port. A reception follows the concert with an opportunity to meet the musicians. Conductor Matthew Scinto and Composer-in-Residence Francis Snyder offer a pre-concert discussion at 2:15 pm. An Afternoon of Chamber Music is the third performance in the orchestra’s four concert inaugural season series Navigations. Members of the Cape Cod Chamber Orchestra are featured in An Afternoon of Chamber Music, offering performances of Mendelssohn's riveting String Octet in E flat, the debut of new art songs by composer-in-residence Francis Snyder, Bach's Brandenburg Concerto No. 3 and Saint-Saëns Fantaisie for Violin and Harp. Violinist Jean Huang and Harpist Charles Overton are featured in Saint-Saëns Fantaisie for Violin and Harp, a piece written by Saint-Saëns in 1907, at age 72, while he enjoyed leisure time in the Italian Riviera. CCCO’s first season Navigations is inspired by Scinto’s vision for the future of classical music on Cape Cod. 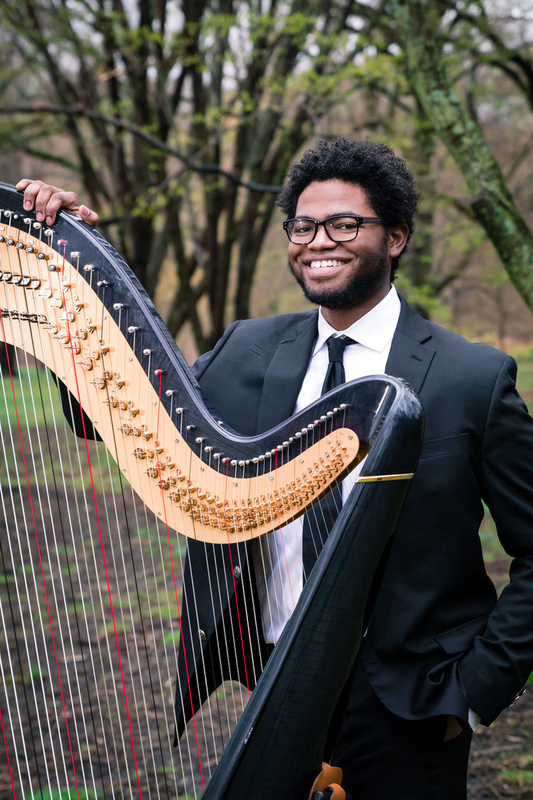 He is fulfilling his mission to collaborate with local Cape individuals, arts organizations and causes to create a unique concert experience of high quality, enriching, and memorable orchestral music. Featuring living composers is at the forefront of his plans; bringing audiences closer to music and the beauty found across Cape Cod communities. Tickets to An Afternoon of Chamber Music are $30 general admission, $35 at the door, $15 for students ages 12 through college age, children under 12 are admitted for free. Tickets are available at www.capecodchamberorchestra.org, by calling 508-432-1668, or at the door by cash or credit card. For more information visit www.capecodchamberorchestra.org, email [email protected], or follow Cape Cod Chamber Orchestra on Facebook and Instagram. 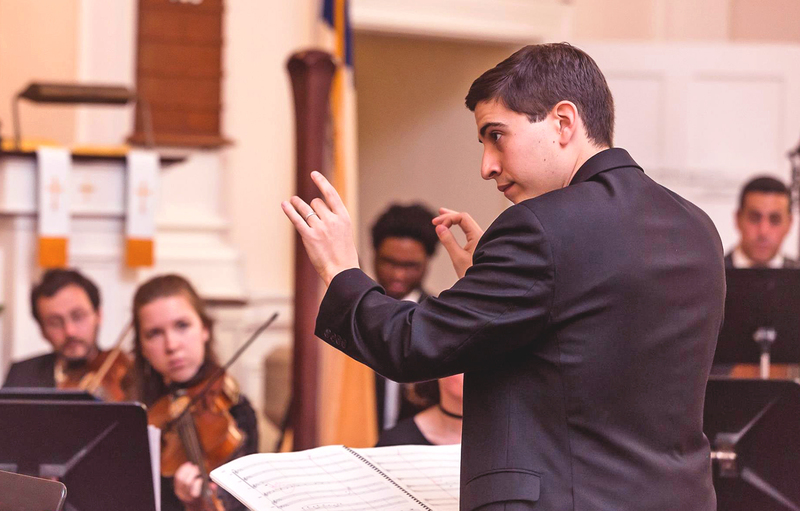 Matthew Scinto is an emerging conductor based in Cape Cod, where he currently serves as the Founder and Conductor of the Cape Cod Chamber Orchestra and Assistant Conductor of the Boston Civic Symphony under Music Director Francisco Noya. Mr. Scinto received his Doctor of Musical Arts degree in Conducting from Boston University, where he was a student of Stefan Asbury and David Hoose and twice received the Conducting Department Award for Excellence in Conducting. Mr. Scinto has studied conducting at the prestigious Tanglewood Music Center, and was invited back again in July 2018. While at Boston University, Mr. Scinto served as the Assistant Conductor of the Boston University Symphony, Chamber, and Opera Orchestras where he covered and conducted in numerous concerts and opera productions, including Boston University's recent production of Le Nozze di Figaro in 2017. Matthew Scinto has worked with conductors Bramwell Tovey, Ken-David Masur, Stefan Asbury, Diane Wittry, Daniel Hege, Marin Alsop, David Effron, and Markand Thakar. He has conducted such orchestras as the Baltimore Chamber Orchestra, Symphoria, the New Haven Civic Orchestra, the Brandeis-Wellesley Orchestra, the Greater Bridgeport Youth Orchestras, the Indian Hill Sinfonia, the Miami Music Festival Orchestra, the Syracuse University Symphony, and the Boston University Symphony and Chamber Orchestras. Francis Snyder is a Boston based composer and conductor and holds a Bachelor of Music Theory and Composition degree from Boston University where he studied with Professors John Wallace, Jason Yust, and Ann Howard Jones. His compositions have been performed by members of many of Boston's music conservatories and he has conducted many of them himself. Since 2014, he has been the composer in residence at the Acadia Repertory Theater in Somesville, Maine, and composes music for their productions each summer. In 2016, his piece Parks and Ponds was commissioned and premiered by the Blue Hill, Maine group The Bagaduce Choral to celebrate the centennial of Acadia National Park. In the spring of 2017, he was chosen as the 2016/17 winner of the Boston University Orchestral Composition Competition. His piece Organic Appreciations was subsequently premiered by the Boston University Symphony in April of that year. He has also worked with many musical pit orchestras and has conducted performances of 'The Wedding Singer', 'Anything Goes', 'Les Miserables', and others. Committed to artistic integrity and excellence, the Cape Cod Chamber Orchestra’s mission is to connect the diverse arts communities and individuals of Cape Cod inclusively. By collaborating with other disciplines of art and culture, the Orchestra aims to create unique concert experiences while providing exciting, enriching and memorable orchestral music. Featuring living composers is at the forefront of the orchestra's mission; bringing audiences closer to the music of modern time, positioned as an essential and educational element to each performance program. Other repertoire champions the works of living composers, as well as the music of the classical canon. For more information visit www.capecodchamberorchestra.org, email [email protected], or follow Cape Cod Chamber Orchestra on Facebook and Instagram. Publication recipients have permission to use photos on all media platforms, no limitations on use. Cape Cod Chamber Orchestra is the owner of the rights to use the photos.